Do you talk to your dog? Lots of people do (this writer included). Sometimes it's a running commentary. But does your dog talk back? This one does! 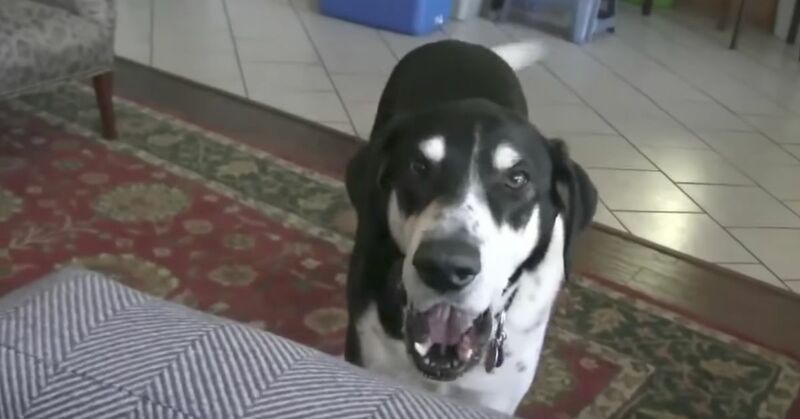 It seems that the dog has wanted a pet of his own for some time, and when his owner tells him that he went to the pet store, he gets very animated as he tries to get his human to "let the cat out of the bag." Be prepared to play it over and over, because you'll be laughing so hard and loud you'll probably miss some of what transpires between man and beast. The conversation starts when the human tells his dog that he went to the pet store. The dog is very interested in the trip and tries to get the human to say the words he so desperately wants to hear. As the man starts listing the animals he saw at the pet shop, the dog gets excited and a little impatient as he urges the conversation along. After listing crabs, guinea pigs, rats, mice, and a slew of other pets, the dog says, "Oh, come on!" He wants to hear those magic words, "I got a kitten." But Dad doesn't cooperate. He leads him on and on, and the dog gets frustrated. Every time the dog gets excited, the man starts the list over again. The poor dog pleads with Dad to get to the point. Did he get a kitten or not? And then he hears a tiny mew. "What was that noise?" he asks. Finally, Dad admits that he got a kitten, and the dog flat-out loses it. As he leaps through the air, his excitement is hysterical. 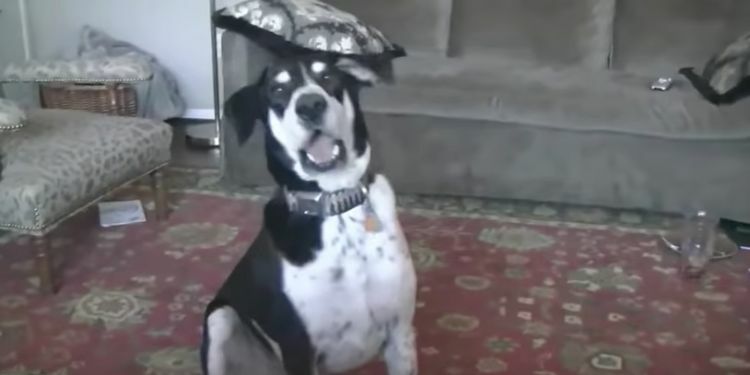 You'll absolutely believe that dogs can talk. Well, at least this dog can. Just watch this video and see for yourself. All pets need someone to talk to. Do you have more than one pet? Are they good friends? Share this hilarious video with your friends. Then take a trip to the local animal shelter and bring home a new friend.